Scholarships are gifts of free money awarded to students who demonstrate outstanding academic, athletic or artistic ability. They can be offered by colleges and universities, private corporations and other organizations. But competition for this free money is tough. Students must not only have the highest grades and excellent ACT or SAT scores but they must also convince the benefactors why they deserve a scholarship. In other words, they must go beyond grades and scores to differentiate themselves from others. Here are some helpful tips on how to search for the right scholarship, how to get through the application process, how to increase your chances of being selected, and what mistakes to avoid along the way. 1. Plan ahead. Searching and applying for scholarships takes time. Don't wait until the last minute. 2. Prepare for deadlines. There are deadlines on applications. In addition, there are often stipulations on required courses or other activities that must be completed in order to apply. 3. Don't wait until your senior year - this is a sure way to lose out. 4. The best time to begin thinking and planning ahead is the sophomore or junior year in high school. 5. Know what kind of scholarship you're looking for - this will narrow the search. 6. Scholarships are academic, athletic or artistic - know which one is right for you. 7. General scholarships - the competition will be keener on scholarships open to all students. 8. Subject specific scholarships - scholarships for specific fields of study like accounting, math, medicine and law will narrow the playing field and should be included in your search. 9. Advisors are excellent sources of information on where to to begin looking for scholarships. 10. Guidance offices receive information regularly from colleges offering scholarships. 11. High school career counselors are familiar with the application process and other requirements and can guide you through this seemingly overwhelming task . 12. Your high school can also put you in touch with other scholarship resources. They know where to look. 13. Look for local corporations and other organizations that are well known for giving away free scholarships. 14. Begin with the companies where your parents work. Many companies offer scholarships for children of employees. 15. Check out local chapters of national organizations such as American Legion, Boy Scouts of America, Police and Firefighters Association, National Guard, NAACP, Knights of Columbus, Jaycees, Rotary, Lions, VFW and Elks, and contact them for more information. 16. The Pell Grant currently awards up to $5,550 depending on financial need, cost of college, and student's ability to contribute. Like scholarships, the Pell Grant does not need to be repaid. 17. Students who are in exceptional financial need can not only receive the Pell Grant but also the Federal Supplemental Educational Opportunity Grant (FSEOG) which can pay an additional $100 - $4,000 per year and also does not require repayment. More information is available at www.studentaid.ed.gov. 18. Look at state government web sites. States often give financial assistance in the form of grants as well as scholarships. 19. Merit scholarships are often available from states for students who have attained a high academic status. 20. Most states offer scholarships for minorities. 21. State governments often give scholarships to students enrolling in workforce shortage fields such as teaching, nursing, technology, math or science. 22. Each state has its own criteria for offering financial assistance. Determine what you may be eligible for and search the state government web site for more information. 23. A complete list of scholarships by state can be found at www.ed.gov. 24. Resources for college scholarships at the local government level are very limited. 25. Search your city government's web site for scholarship information or call the mayor's office or local chamber of commerce. 26. Large Fortune 500 companies are excellent sources of scholarship money. They have deep pockets to help students pay for college. 27. The top ten list includes Wal-Mart, AT&T, Ford, General Motors, United Health, State Farm, Microsoft, Dell, Lowe's and Best Buy. 28. Also check out soft drink companies like Coca-Cola and Pepsi, pharmaceutical companies like Pfizer, banks such as Chase, and even food chains like KFC. 29. Search by state or by type at www.collegescholarships.org. 30. Make a list of smaller local companies who might also have a reputation of offering scholarships to local citizens. 31. The Internet has made scholarship research much easier and quicker. Key word searches will result in a wealth of information. Search by state or by subject. 32. Look at free online databases such as College Board's Scholarship Search, Fastweb, collegenet.com and Peterson's College Search where you can search for literally hundreds of scholarships. 33. Don't forget to use social resources like Facebook and Twitter to ask others for scholarship advice. 34. Scholarship Handbook, available to order on College Board's web site, is one of most popular books on available scholarships. It contains more than 2000 scholarships, loans and internship programs. 35. Amazon lists several books on scholarships that can be ordered for just $10 to $20. They include Get Free Cash for College, College Financial Aid for Dummies, and The College Scholarship Handbook. 36. Check your local library or high school guidance office for these and other books that are available. 37. The number of eBooks has also increased and represents an easy way for students to do their research at home. It also ensures that students are receiving the latest information. 38. National resources for scholarships should also be investigated. These types of scholarships are usually designed to encourage students entering specific fields of study. 39. The National Health Service Corps scholarship (NHCS) is awarded to students entering the health care field. 40. The National Merit Scholarship program is open to all students. Students taking the Pre-SAT (PSAT) test in high school will be nominated based on their scores to become Semifinalists and then advance to Finalists. They are free to choose any college or career path. 41. Create a spreadsheet and list scholarships by category. Include names, addresses, telephone numbers and web site links. At this point, the objective is to create a list of possibilities that should total 50-100 potential resources. 42. You want to have plenty of resources to work with initially. Once you begin to examine and compare requirements, the list may be purged to best fit your needs. 43. Missing deadlines is simply not an option when it comes to applying for scholarships. Stay organized by noting important deadlines on your spreadsheet, such as when the application needs to be there. 44. Include details on application requirements, scholarship amount, how and where to apply. 45. Keeping this information in a spreadsheet will allow you to select a search criteria, such as by deadline date, and help you stay organized and on time. 46. Be prepared to include an essay, ACT or SAT scores, high school transcript, class rank and G.P.A., and up to three or more letters of recommendation. 47. Some requirements may include a resume, written exam to test your skills, a project to complete to evaluate your competence, financial information and proof of U.S. citizenship. 48. Read instructions and follow them carefully. Failure to supply the correct information or missing the deadline will disqualify you and end your chances for a scholarship. 49. Unless the requirements specifically say no, plan to include a cover letter with the application. 50. Address the letter to the Scholarship Committee and begin with Dear Committee Members. 51. Briefly state how the scholarship will help you. 52. Thank them for considering you for the scholarship. 53. Your resume should look professional and list information related to the purpose of the scholarship. 54. Open with a brief statement about your college major and career goals. 55. List honors and awards you have earned. 56. Include high school and community activities and work experience. Be specific. 57. Add personal interests at the bottom, especially those related to the scholarship. 58. Read and follow instructions. It is definitely not one size fits all when it comes to applications. 59. Pay attention to how to submit (mail or electronic), what materials must be included, and what the deadline is. 60. If mail submission is indicated, send your materials by certified mail to ensure it arrives on time. 61. If electronic submission is noted, make sure of the limitation on number of files allows and file sizes, as well as format, such as Word, PDF, or text documents. 62. The most important thing to remember is to read the application thoroughly and follow all instructions. 63. Pay close attention to essay questions and answer them completely and thoroughly. Don't miss any questions or your application may be denied. 64. Find out how many letters of recommendation you will need. Is a cover letter required? Do you need a resume? 65. Don't rush the application process and choose a quiet place where there are no distractions. This will ensure your thoughts are clear and focused. Be prepared to write a convincing explanation as to why you are an excellent candidate for the scholarship. 66. Allow plenty of time for proofreading. There is no room for error. 67. Some of the most common mistakes in completing a scholarship application include: submitting past the deadline, not following instructions, omitting necessary documents, missing a question, and spelling and grammar errors. Think of the application process like applying for a job. You want to put your best foot forward. Pay attention to every detail in order to present yourself as the best candidate. 68. Review the purpose of the scholarship. Understand the background of the college or organization offering the scholarship. Your essay should coincide with their purpose and goals. 69. Select one or two examples of your accomplishments and provide details that will give them a clear picture of who you are. For example, if you're applying for a scholarship in social services, tell them about your experience volunteering to build homes for Habitat for Humanity. Other experiences and accomplishments can be listed on your resume, but select your key accomplishments to tell a compelling story. 70. Collect your thoughts and don't wander or talk in circles. Choose a theme that matches the purpose of the scholarship. Make an outline first, listing important facts you want to include. 71. Don't rush the essay. Take the time to write an attention-grabbing introduction, interesting content, and a solid conclusion that includes what you learned from this experience and how it will help your career. 72. Choose a good title that does justice to your story but also aligns with the purpose of the scholarship. 73. It is extremely important that the essay sound professional, so good grammar, spelling, punctuation and sentence structure are a must. Avoid slang. Call things as they truly are in the interest of clear communication to your audience. 74. Proofread, proofread, proofread everything before you send it. This means not only using spell check but also giving your draft to teachers, counselors and friends to proofread for grammar, punctuation, flow and how well it answers essay questions. 75. Do as many drafts as necessary to produce your best work. The essay should clearly articulate what you have accomplished and in what ways you are an excellent recipient for the scholarship. There is no room for errors and you only get one shot at it, so take the time to do it well. Your efforts will be noticed. 76. Letters of recommendation are meant to support your application by reinforcing your capabilities. They are powerful tools because they provide a testimonial from someone who has had personal experience and first-hand interaction with you. 77. Letters of recommendation should come from people who know you on a professional level. This could include teachers who know what kind of student you are, counselors who have worked with you on outlining your career path, current or past job supervisors and people with whom you did volunteer work. 78. Don't ask relatives. It is impossible for family members to be objective, and these sources will not be taken seriously. 79. Use company letterhead. It not only looks professional but gives the scholarship committee important contact information if they have questions. 80. Ask a wide cross section of writers to help. Counselors, professors and former supervisors will highlight various capabilities and provide the scholarship committee a wider perspective on you. 81. Encourage the writers to be specific. They need to describe exactly what you did, what strengths were demonstrated and how this makes you a strong candidate for the scholarship. 82. Give the writers plenty of time. Plan on four weeks or more if necessary and make sure they know what the deadline is. 83. Send each writer a nice thank you note to show your appreciation. Offer to keep them informed on your progress. 84. Use a strategy that includes searching for broad scholarships available for all students as well as subject specific scholarships, and scholarships for minorities. 85. Don't just go for the big bucks. The larger the scholarship, the more competition there will be and the tougher it will be to win. Many smaller scholarships can add up to more money for school, so don't overlook them. 86. It is always a good idea to follow up after sending your application materials to confirm they were received. Things can go wrong with the mail, and electronic submission also has its glitches. So certainly call or email to make sure it arrived. 87. Plan to send application materials far enough in advance to allow for a second submission, if necessary, to avoid missing the deadline. When calling, you may also ask when they plan to announce the winners. 88. After receiving notification of a scholarship award, a thank you letter should be sent immediately to the benefactor. No emails or phone calls. This should be done in a handwritten note on nice stationery. 89. Proofread several times and check for accuracy on spelling, grammar, and punctuation. Use the same attention to detail as when you were applying for the scholarship. 90. The letter should be addressed to the president or highest ranking person such as the executive director. Explain what the scholarship means to you personally and how it will benefit you. Then thank them again. 91. Read the renewal clauses of each scholarship being considered before applying to ensure you are able to meet the requirements. If you don't see a clause or don't understand it, call the college financial aid office and ask them for help. 92. Academic scholarships will require students to maintain a specific G.P.A. If they fall below, they may lose out on the scholarship. 93. Some scholarships will automatically renew if all qualifications are met, and others may require students to re-apply. 94. Scholarships that are subject specific will not allow students to change majors or they will forfeit scholarship money. Scholarships from a particular college or university would require that a student remain at that institution in order to get the scholarship money. 95. Athletic scholarships require playing the sport. Be sure you understand the consequences for not playing due to injury or poor academic performance. 96. Real scholarships will never ask for money, credit card information or guarantee a scholarship. Also beware of companies who charge for their databases and offer to complete your application, essays and letters of recommendation for a fee. 97. If a company contacts you and says you've won a scholarship for which you never applied, its a hoax. If the company does not have a web site or phone number to contact them, it is probably a scam. Legitimate organizations will most likely have a history of giving and press releases on their web site relating to past scholarships awarded. What does scholarship money cover? 98. Most scholarships pay for tuition and fees. A full scholarship will cover most all expenses, including tuition, room and board, books and some even offer a living stipend as well. 99. Other scholarship expenses that can be covered include lab fees, course supplies, and waivers on the application fee. Be sure to read scholarship information carefully to understand what is included before you apply. How Many Scholarships are Allowed? 100. 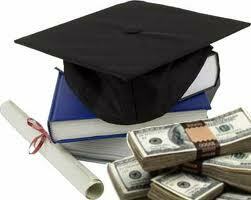 Scholarship money is one part of a financial aid package which could also include grants. As long as the scholarship money does not exceed the total cost of college expenses, there is no limit on how many you can receive.